Don Papa, a single island rum from the Philippines, has launched a limited edition 10-year-old rum into the UK market. Don Papa 10 is a super premium, small batch rum from Negros Occidental, Philippines. Distilled from some of the finest sugar cane in the world, it is aged for 10 years in re-charred oak barrels in the foothills of Mount Kanlaon before being blended. The latest offering from Manila based rum maker Bleeding Heart Rum Co, with UK distribution handled by Marblehead Brand Development, Don Papa 10 will be available exclusively for the first month through Harvey Nichols, in-store and online from November 5, 2015. The packaging has been designed by Stranger & Stranger and has won several international design awards. 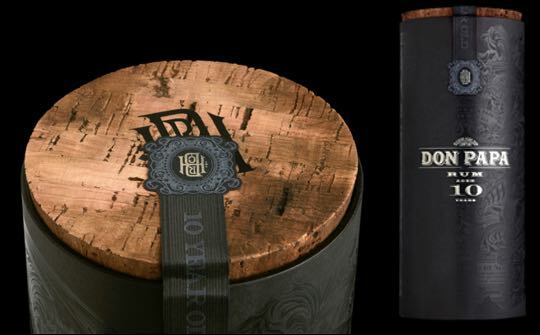 Unique to the European launch of Don Papa 10, each canister will feature a cork lid, produced by the acclaimed Portuguese cork supplier JC Ribeiro. Don Papa 10 has an ABV of 43%, and an RRP of £49.95.